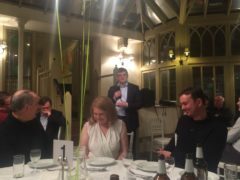 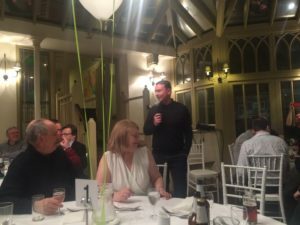 On Friday 24th February, about 75 PASALB members and guests gathered in Richmond, prior to the Luton game, to celebrate the 40th Anniversary of PASALB. 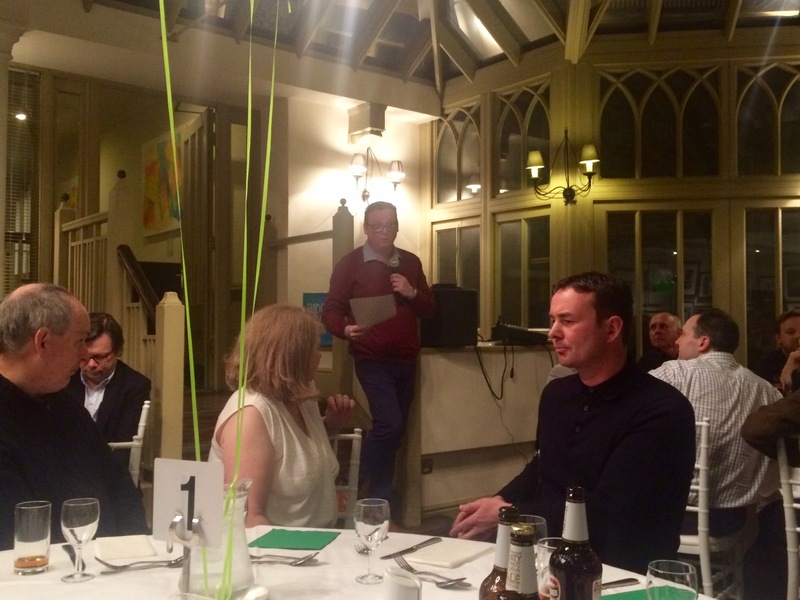 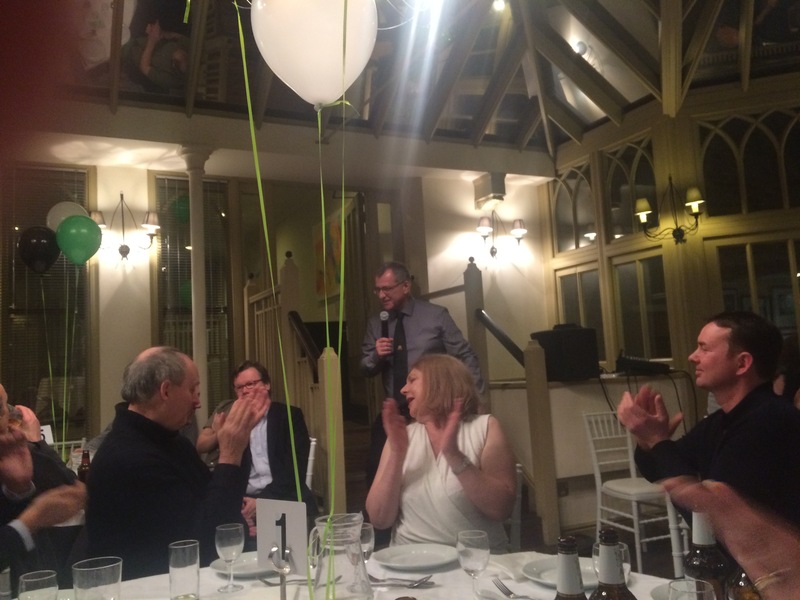 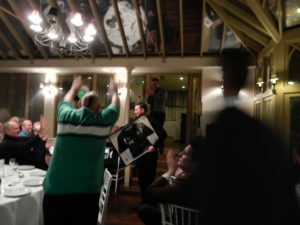 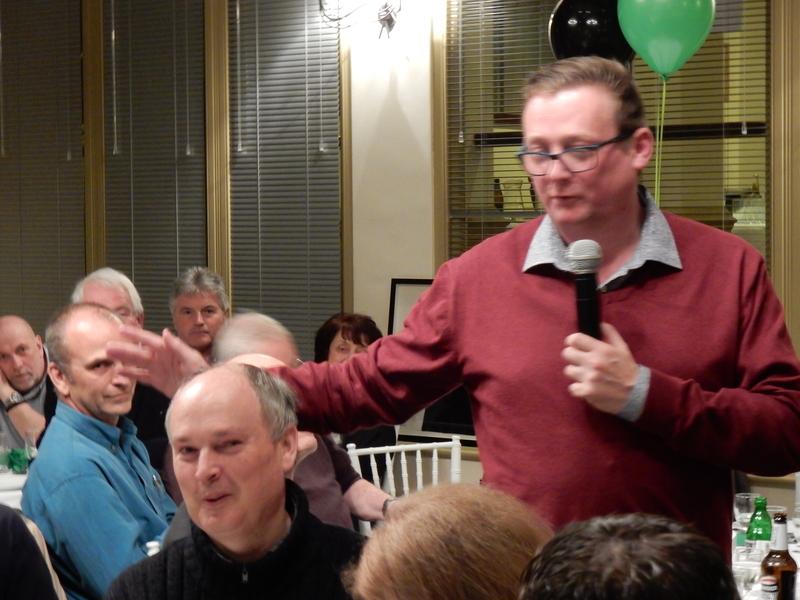 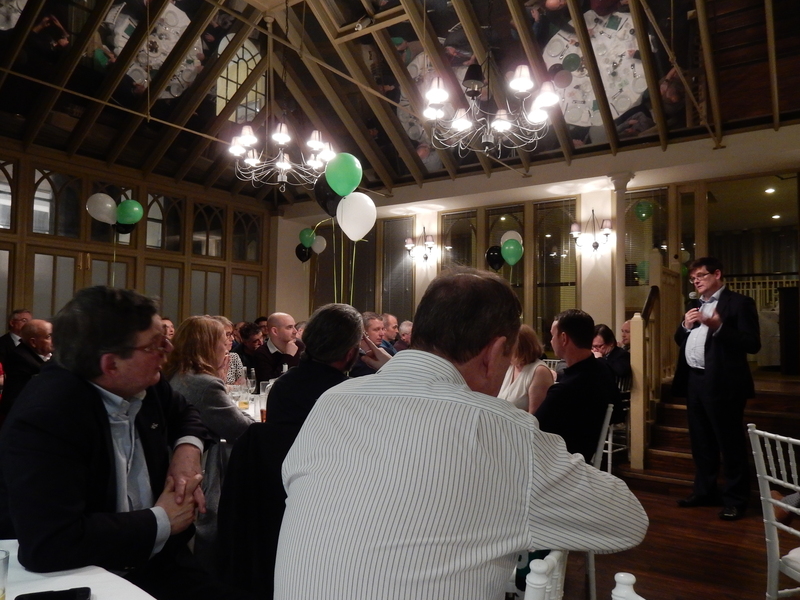 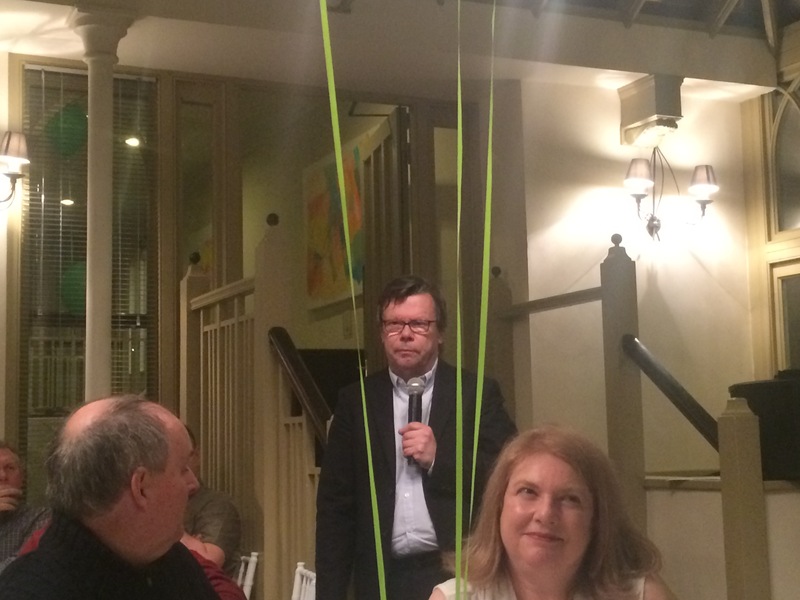 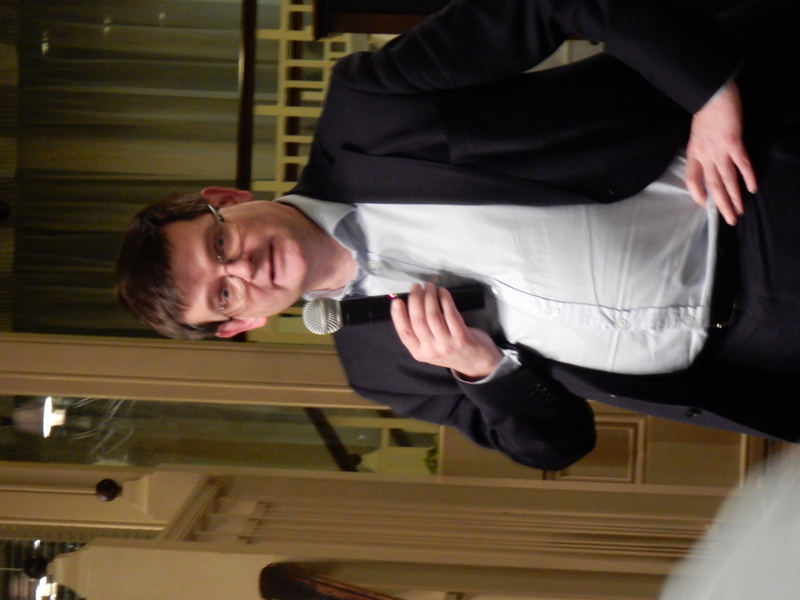 A terrific night was enjoyed by all and thanks must go to Lee Jameson for organising a great evening. 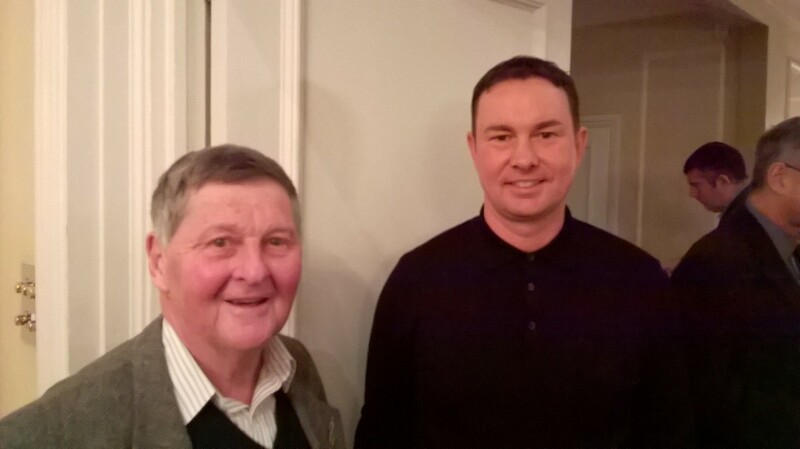 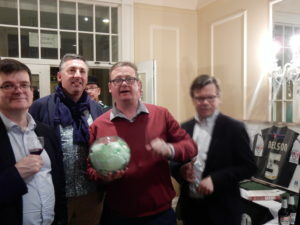 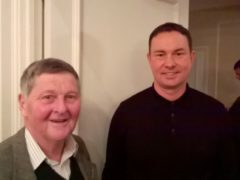 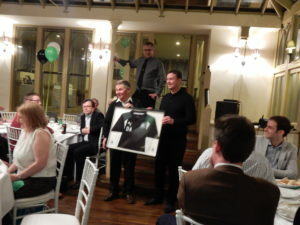 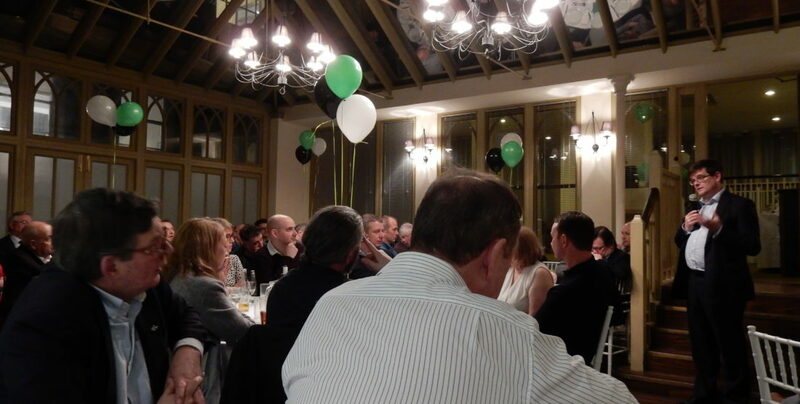 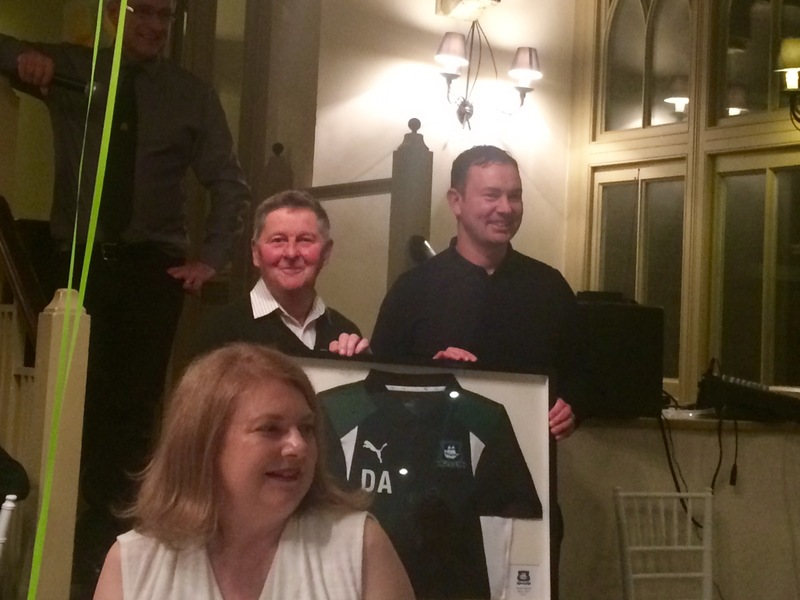 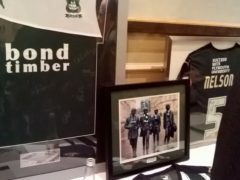 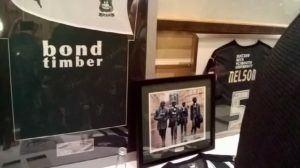 Highlights were speeches by Martyn Starnes, Peter Jones, Derek Adams and James Brent, followed by the 40th Anniversary draw and the auction of various items of Argyle memorabilia. 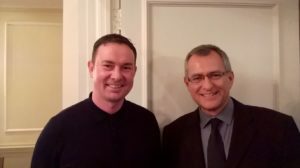 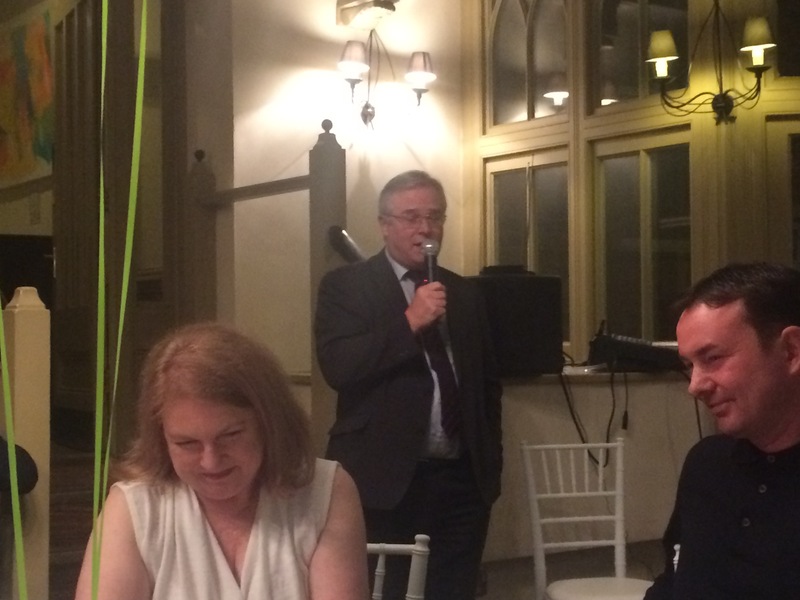 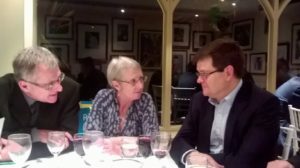 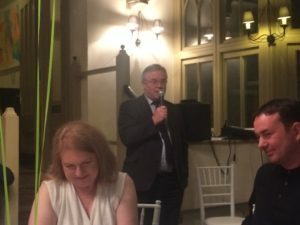 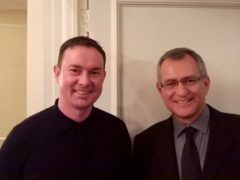 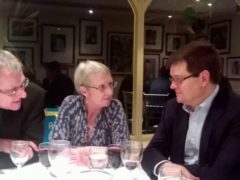 As well as the speakers other guests included Argyle directors Richard Halliday, and Tony Wrathall ; director Simon Hallett was only unable to join us, as he was apparently fishing in Chile! It was great to see this level of support for PASALB and for our members to get a chance to mix with the manager and directors. 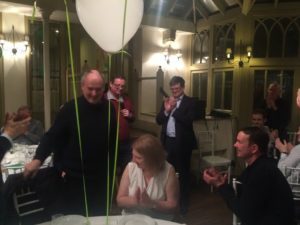 In addition, as you can see below, a presentation was made by James Brent to founder member Neil ‘Bavvers’ Bavington for his outstanding service to the cause having been on the PASALB committee for all 40 years since the birth of PASALB. Also featured below, Derek Adams presented a signed and framed training top to PASALB legend Bob Berriman in recognition of PASALB being Derek’s sponsor this year. 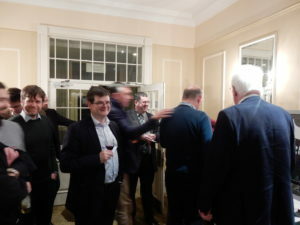 Below are a selection of photos from the evening. If anyone wants to share any other photos, please send them to mark.joannes@btinternet.com and they can be added.